Like it or not, given the Cayenne effectively props up Porsche’s other endeavours, this latest facelifted model is an important car. With plenty of inspiration coming from the firm’s baby 4x4, the Macan, the Cayenne features updated aesthetics, improved equipment and enhanced engines. The new styling is far from radical, but gives the Cayenne a far cleaner appearance than the outgoing version. On the interior, the new 918-influenced steering wheel is the most notable update along with refreshed rear seats. 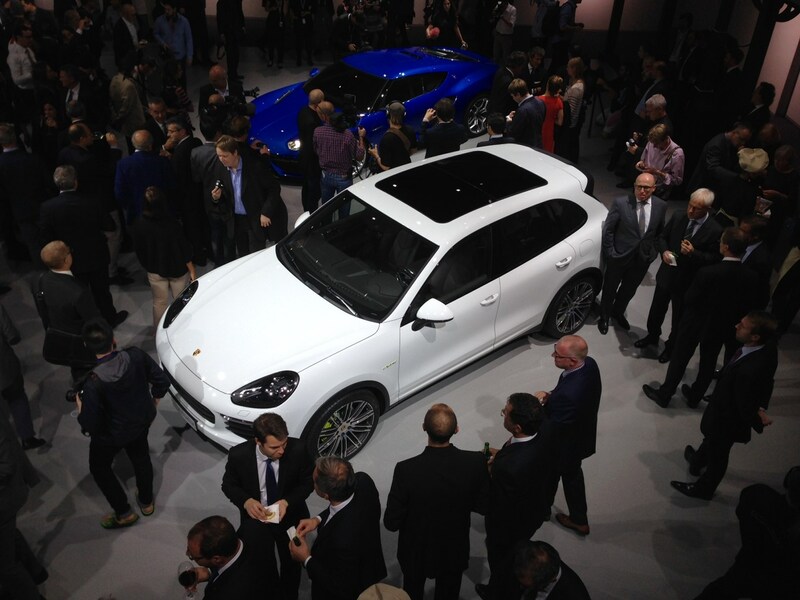 Under the bonnet the Cayenne gets one new engine, the twin-turbo 3.6-litre V6 petrol from the Macan Turbo. This replaces the naturally aspirated 4.8-litre V8, with fuel economy improved by over 2mpg and emissions down to 223g/km. However, the vast majority of Cayenne’s are sold with diesel powerplants, so Porsche has beefed up the standard 3-litre V6’s efficiency. Producing 258bhp, it meets EU6 regulations achieving 42.8mpg and emitting 173g/km. There’s a ‘S diesel’ available too, with a 4.2-litre V8 that lacks efficiency, but does hit 62mph in 5.4 seconds. On the kit front, famously stingy Porsche have included a little more standard equipment compared with the predecessor. All models gain LED running lights, parking sensors, cruise control, automatic climate control and an automatic boot. Of course, an infinite options list awaits any customer that wants more. The facelifted Cayenne is on sale now, with the range starting at £49,902. We've already driven the updated Cayenne. To see what we thought, read our Porsche Cayenne road test. Did you know the most popular review for the Cayenne range is the Porsche Cayenne SUV review.